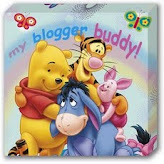 ghoomthe gaamthe..stumbled upon your blog ..from my blogger dashboard. Read this one....yeah loneliness is the harshest reality of this existence, we just die...alone. My cousin brother passed away last Diwali from a sudden heart attack...right after the week-long family get-together and celebrations. He had just left for his home as he couldn't afford any more workday offs, leaving behind his wife and 6-year-old son with the other members to have some more fun days, as school hadn't restarted. Nobody knows what happened after an hour, he didn't pick up any calls. Later neighbours were called up to check on him, he did not open the door. they called the police and broke open the door, found him lying down only wrapped in a towel just outside the bathroom. Went to hospital to find that he had suffered a heart attack when he came out from bath in the early morning itself. He lived his whole life for others, his elders, his siblings and his family. Yet, at the end he went alone.